With 20 years experience as a residential Portland landscape designer, Carol Lindsay enjoys combining your lifestyle and interests with her exceptional awareness for the design potential of your home-garden and patio spaces. 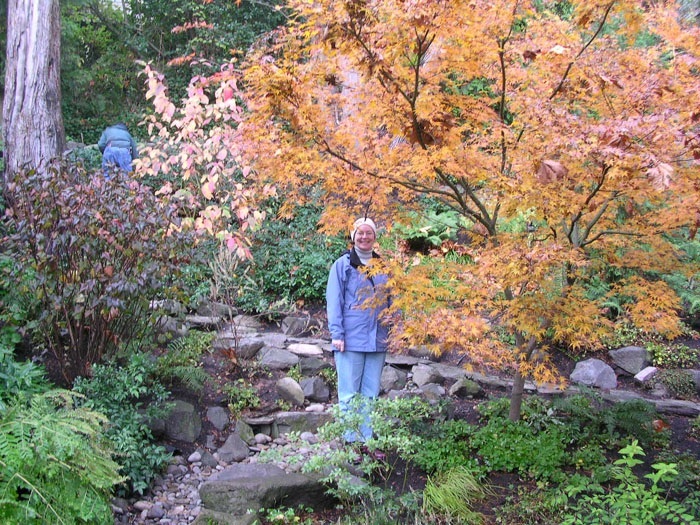 She has an extensive knowledge of plants including NW native plants and home-garden designs. Carol enjoys using native plants, rain gardens and drought-tolerant landscaping to create NW natural garden designs and outdoor entertaining landscape ideas. Is your style Modern, Minimalist, NW Natural, Cottage garden or in-between? Carol creates the perfect design in your preferred style. She is the queen of functional space and flow, loves to work collaboratively with her clients to make every inch of the property useful and easy to care for. Carol enjoys using colorful low maintenance plants, NW native plants, and edible plants to create simple planting plans for your classic or modern home. There are so many plants to consider that even people who consider themselves gardeners can be mind boggled. Carol selects plants based on intimate knowledge of their ultimate size, appearance throughout the season and low maintenance needs. Please see a few samples of Carol’s work on the gallery page. She also offers Garden Coaching for clients who want monthly, quarterly or twice-yearly garden coaching sessions to help keep their outdoor entertaining and garden spaces looking beautiful in every season. LIVE talk radio on November 2014. Check it out here. The Oregonian article on rock wall landscaping. Read the full article and watch Carol’s video here. The Oregonian article on How to create a pet-friendly garden: ideas, tips durable plants. Read the full article here. Digger magazine article on low maintenance Nandina selections. Read the full article here. A video on About.com about Best Flowers to Attract Hummingbirds. To hear how she can help you with your home, contact her for an appointment!